Martial Arts Classes Salem, MO. 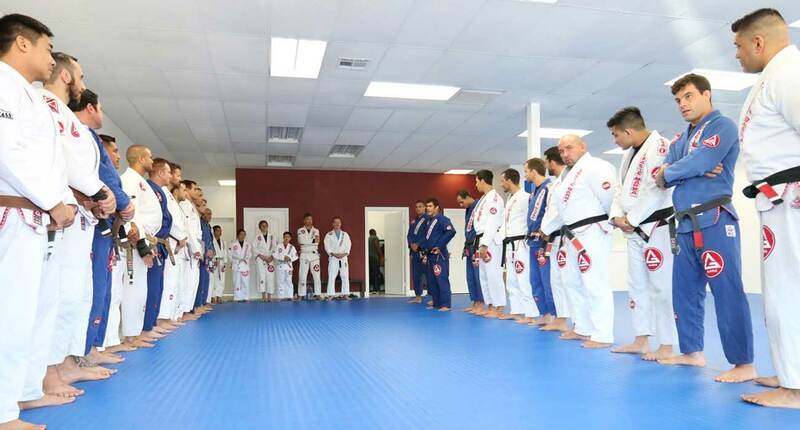 Gracie Barra Washington, MO is proud to provide the Salem area with an elite, world-class martial arts school that has created hundreds of martial arts and Brazilian jiu jitsu champions. Our Martial Arts School near Salem provides you with unparalleled access the Brazilian jiu jitsu sport which includes the lessons, instructors, as well as a dedicated and inviting team of martial arts enthusiasts who are ready to challenge you to be your best. Brazilian Jiu Jitsu is an inclusive art, and to experience it, join our team today. You enjoy martial arts, and now you want to be a part of the best martial arts class in your area. You want to learn Brazilian Jiu Jitsu for many reasons, whether its self defense, to have greater athleticism, or because you enjoy challenging physical activities and being competitive, our Martial Arts Classes in Salem are made for you. We encourage and help each of our martial arts students to reach their potential in all that they do, that includes jiu jitsu, and we want all of our students to be confident of their abilities, regardless of whether they want to take part in competitions or not. Alongside learning Brazilian Jiu Jitsu, students will reach improved balance, stronger physiques, higher levels of energy, heightened focus/awareness and integrity through learning the important values of Brazilian Jiu Jitsu sportsmanship. Every Salem resident that steps inside our dojo near Salem will become a part of our jiu jitsu family.